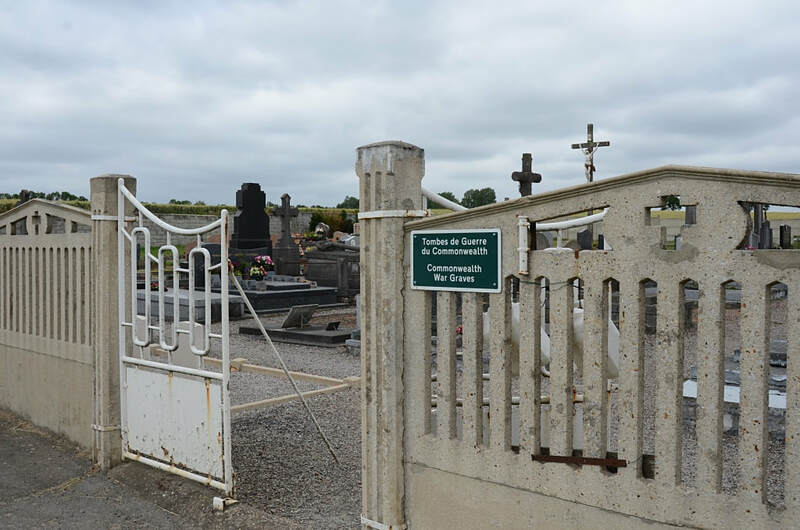 Plouvain is a village almost 11 kilometres east-north-east of Arras on the road to Biache-St.Vaast, 2 kilometres east of Plouvain. 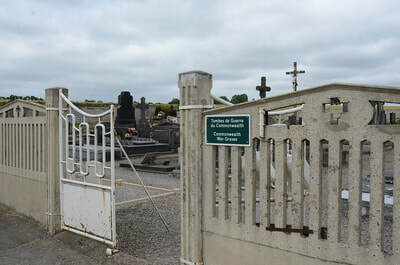 The communal cemetery is south-west of the village on the road to the neighbouring village of Roeux. 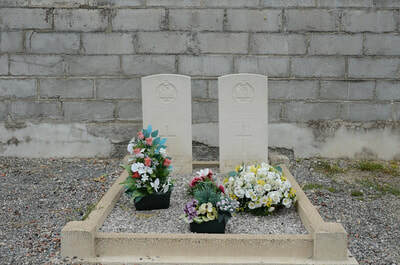 It contains the graves of six soldiers from the United Kingdom. 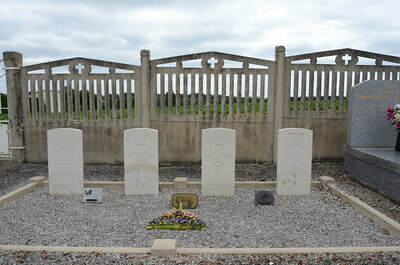 Four of the graves adjoin the western boundary and two are near the western corner, adjacent to the northern boundary. 4617981 Private Cecil Eric Hawkins, 5th Bn. 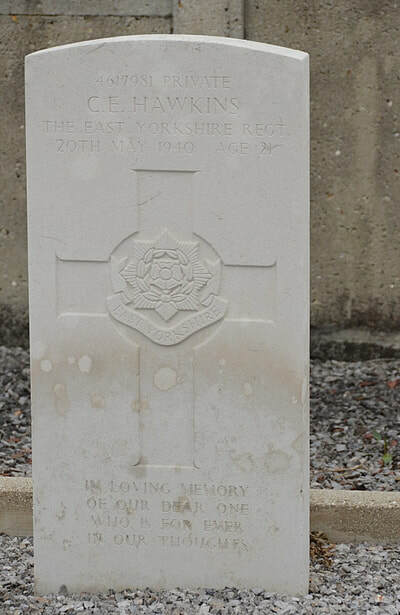 East Yorkshire Regiment, died 20th May 1940, aged 21. Son of Doris Hawkins, of Southwark, London. 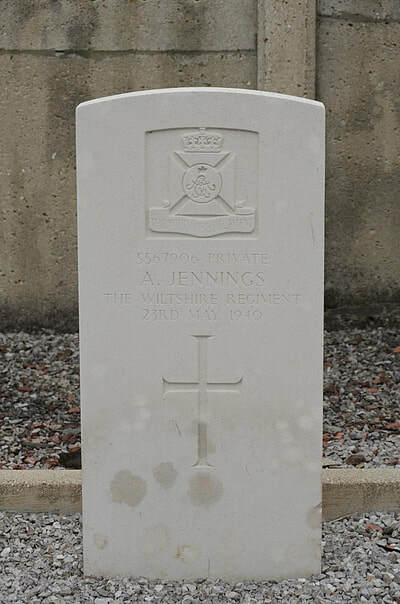 5567906 Private Arthur Jennings, 2nd Bn. 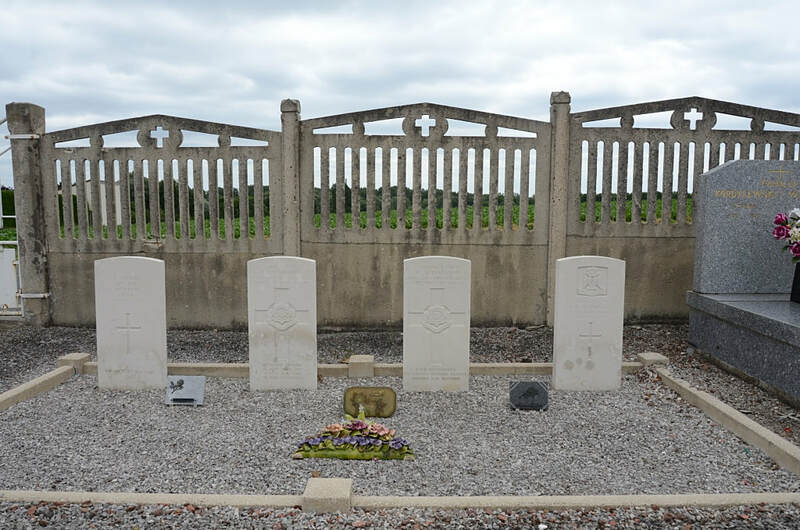 Wiltshire Regiment, died 23rd May 1940. 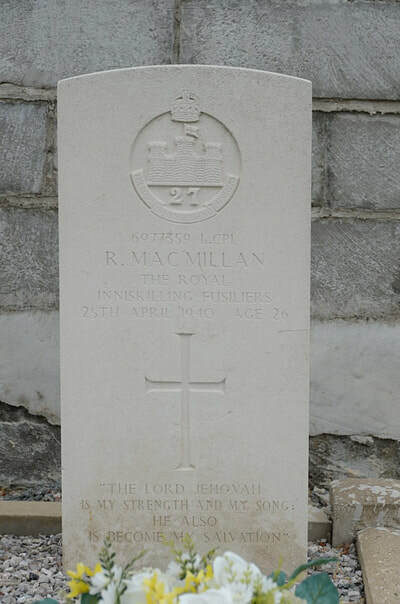 6977359 Lance Corporal Robert MacMillan, 2nd Bn. Royal Inniskilling Fusiliers, died 25th April 1940, aged 26. Son of John MacMillan, and of Elizabeth MacMillan, of Coleraine, Co. Londonderry, Northern Ireland. 4339850 Lance Serjeant Walter Mitchelson, 5th Bn. East Yorkshire Regiment, died 20th May 1940, aged 35. 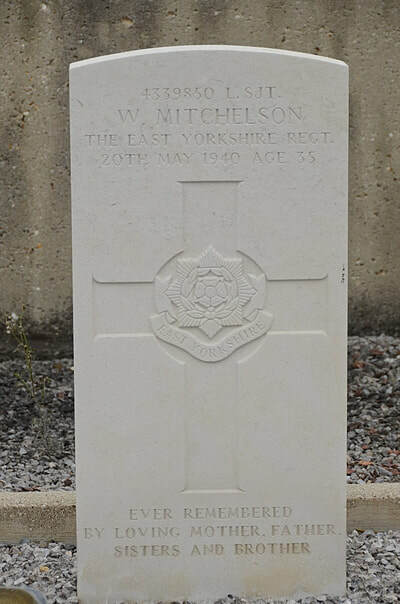 Son of Walter and Margaret Mitchelson, of Dudley, Northumberland. 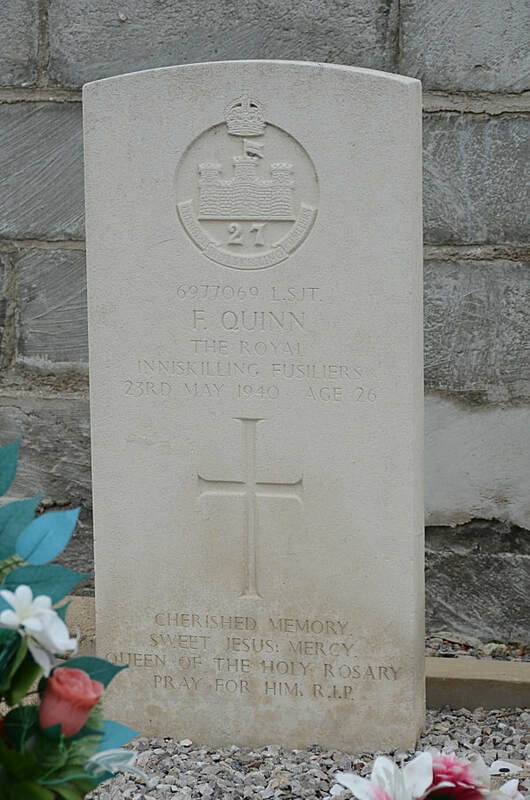 6977069 Lance Serjeant Francis Quinn, 2nd Bn. 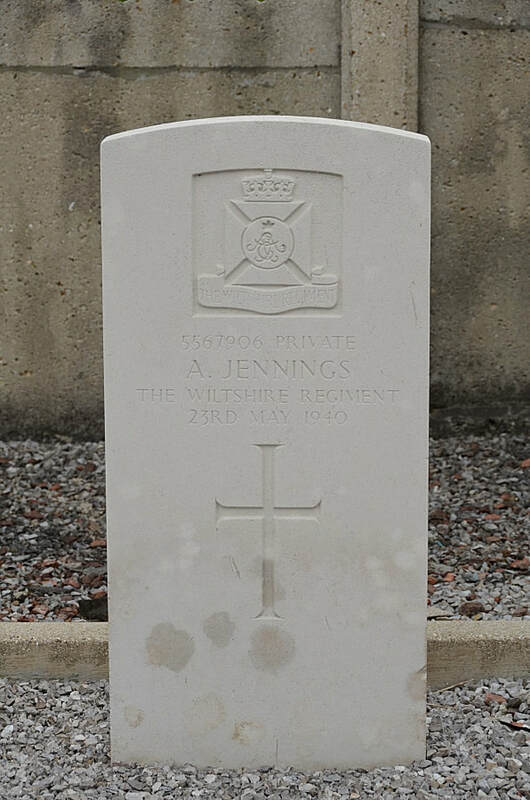 Royal Inniskilling Fusiliers, died 23rd May 1940, aged 26. 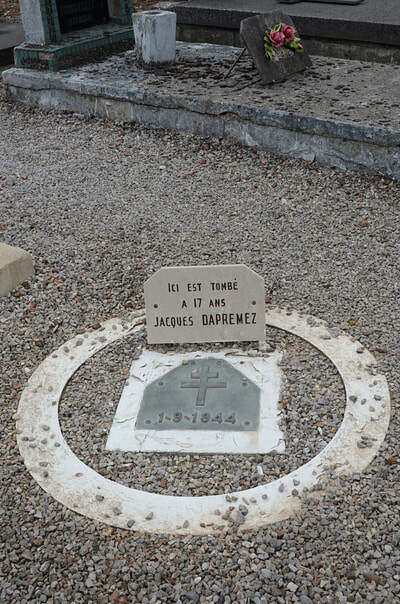 Son of Patrick and Alice Mary Quinn, of Burnfoot, Co. Donegal, Irish Republic.